For nearly ten years, we have collected and shipped the following goods for women and children. We are accepting tangible donations of children school supplies, medical equipment, canned foods, merchandise (new or used, if in good condition), clothing and shoes and More! Now it’s high time we advance and maintain and store all of our good deeds under one big beautiful motivating inspirational roof! Queen Sheba Village aims to fight against poverty, hunger, and violence caused to women and children in Africa, Senegal. With the help of your generous donations we are able to improve the life stand for all those who are destitute, reduce infant mortality and promote empowering entrepreneurship for women and education for girls trainings in serene workshop classroom settings at The Women & Girls Empowerment Education Social Center. 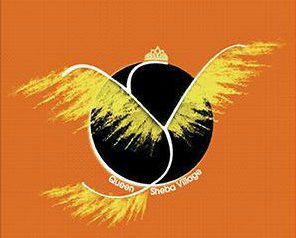 Queen Sheba Village, Inc accepts public, domestic and International donations. Initially Queen Sheba and Team staff funded the majority of the QSV organization projects. Today we teach empowerment and motivation of self. This is extremely important because without eradicating hundreds of years of colonial mentality it is most difficult to educate about much else. QSV founder and community mother Mum Queen accepted the task to share her knowledge of self, her hardships, trials and more and used her experience to inspire potential leaders to commit to CHANGE. QSV, Inc also accepts cash donations at the Village headquarters in Senegal and Maryland. All donations can be a one-time or a recurring donation.